Join our brilliant orchestral musicians on two exhilarating journeys in which day-to-day reality and the life of the imagination are enigmatically entwined. Austrian composer Gustav Mahler’s symphony begins with sleigh bells and ends with the music of the angels. We travel from an outdoor world of sunlight and bird calls, folk fiddles and hunting horns to the eternal realm as seen through the innocent eyes of a child. This music is profound yet simple, charming and nostalgic – all expressed through a stream of melody strongly recalling Schubert, whose work Mahler knew well. In a more straightforward fashion, the 20-something Mendelssohn records his discovery of the Italian countryside, the piercing Mediterranean light and “... a warmth, mildness and happiness, a sense of joyous well-being spread over everything that is quite indescribable”. But he did, and how! What happens when you combine the genius of two highly regarded and highly individual musical talents – in this case the multiple BBC Folk Award-winning fiddle player Aidan O’Rourke and Kit Downes, the BBC Jazz Award-winning, Mercury Music Awardnominated musician? Aidan was inspired to write a daily musical response to 365 Stories, the one-a-day short story collection by Man Booker-nominated Scottish author James Robertson. With Kit on harmonium and piano they began recording the result. Aidan says: “...the tunes are based in Scottish folk music; that’s my backbone, the place I come from, the traditional language I love ... Kit did complex and wonderful things with them [and] took them places I hadn’t imagined.” This concert will be a live performance of Volume 2 – their second selection of pieces whose haunting, meditative beauty will be perfect late night listening in the Quire. An important part of the Festival’s mission is to nurture emerging talent on the British classical music scene. 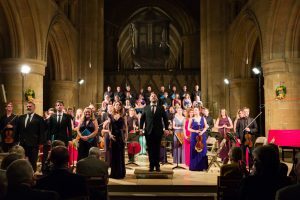 This concert will be a showcase for the youngest members of the 2019 Festival’s professional ensemble of singers and players. The instrumentalists will be some of the most talented players at the UK’s leading conservatoires who are part of the Festival’s Performer Development programme. Similarly the young professional singers are graduates of The Sixteen’s Genesis programme: the opportunity to sing alongside some of the UK’s most experienced consort singers is an extension of that training and the result of a joint initiative by our Patron Harry Christophers and Marcus Farnsworth. Following the inaugural Opera Gala at last year’s Fringe, Festival soloists will return to sing highlights from the operatic repertoire. The spiritual heart of the Minster is its Quire; at the heart of the Festival Sinfonia is a string section of sumptuous quality. The glowing acoustic of the former is the perfect setting for performances by the latter. Tchaikovsky’s Mozart-inspired Serenade is one of the greatest works of the string chamber orchestra repertoire – elegant, passionate and full of memorable tunes. In this performance the movements will be interspersed with short works by composers including Rameau, Shostakovich and the African-American George Walker. 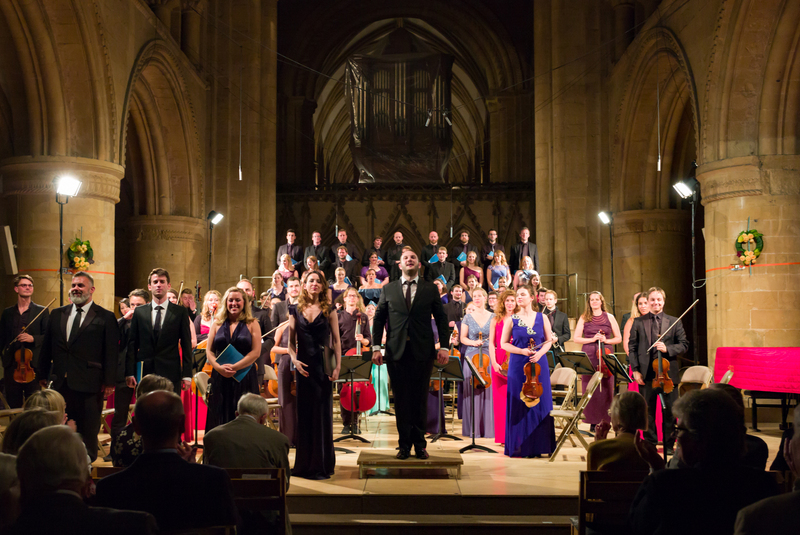 The Southwell Festival Sinfonia brings together leading instrumentalists from orchestras and ensembles across the UK and further afield. Our players enjoy the chance to tackle repertoire that they do not regularly perform and to work with musicians whom they admire or have not previously met. This concert is a chance to hear the distinguished wind players in our handpicked orchestra: they are regulars, and in some case principals, with the UK’s leading orchestras including Aurora, the BBC Scottish Symphony Orchestra, London Symphony Orchestra and the Royal Liverpool Philharmonic Orchestra. Local horn player and regular member of the Festival Sinfonia, Robert Parker, leads a celebration of French Horn repertoire, with an ensemble of talented young horn players. The programme will also include the WORLD PREMIERE of the Horn Sonata by Lowdham composer David Machell, specially composed for Robert and pianist Antony Clare. Fanny Mendelssohn and Clara Schumann struggled for recognition as musicians and composers of talent equal to their celebrated male family members. Felix Mendelssohn paid homage to his beloved sister in a string quartet which bears the title “Requiem for Fanny”; these little-known songs reveal her genius. Robert Schumann’s music and above all his songs were inspired by Clara, whose lush and poignant Romances show what might have been. Be part of the Festival’s noisiest event! Join our professional musicians to discover the wonderful world of percussion – whatever you can hit that makes a noise. You’ll have a chance to make your own instrument (or just bring a saucepan and wooden spoon) and take part alongside our professionals as you create and perform a special piece. 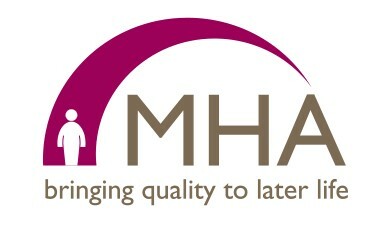 Perfect for people of all ages who benefit from a more relaxed performance environment, including those of all sensory and communicative abilities. Audience members are free to make noise, move about, and come and go as they please. A unique opportunity for local young musicians to be tutored by visiting processional musicians of national and international standing. As well as benefiting the performers, the Masterclass provides a fascinating insight into the process of classical music making. 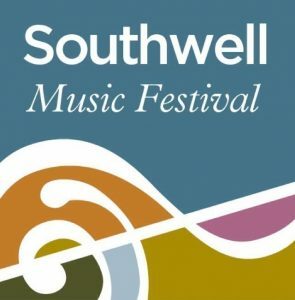 If you are a young musician aged 19 or under, are at least Grade 8 standard and would be interested in taking part, please contact info@southwellmusicfestival.com by 27th May with details of your instrument/voice type to express your interest. most admired musicians; their delightful programme will show their outstanding artistry. Renowned for her “dazzling interpretative flair and exemplary technique” (Classic FM), violinist Jennifer Pike performs recitals and concertos in the world’s most prestigious concert halls. Jennifer gained international recognition aged 12 as the youngest winner, at that time, of the BBC Young Musician competition and her subsequent career has included many more awards and consistently enthusiastic reviews. Pianist James Baillieu is “in a class of his own” (Daily Telegraph). He has been garlanded with awards, has accompanied a galaxy of international stars, and appears regularly in the leading concert halls here and aboard. In addition he finds time to take part in programmes internationally to support the development of emerging musicians. We are delighted that James is a regular visitor to Southwell. We welcome the return of this accomplished and entertaining ensemble who have performed in the garden for us before. Who can forget the spectacular 2017 concert with blazing sunshine, glorious brass ensemble playing, and an audience of 450? How Handel invented the oratorio and wrote Israel in Egypt in a month. All will be explained by composer, singer and choral conductor Martin Bussey. If you enjoy Messiah you’ll love Handel’s oratorio Israel in Egypt. As with Messiah Handel sets a biblical text – the dramatic story of the Israelites’ departure from Egypt in the Book of Exodus; also like Messiah, Handel’s choir – a spectacular double chorus, is a leading character in the drama. Add orchestral writing that fizzes with originality and solo numbers of plangent beauty and this masterpiece will have you on the edge of your seat. And when the Israelites finally cross the Red Sea with the pursuing Egyptians drowning behind them there’s a choral celebration to rival the Hallelujah Chorus. As Marcus Farnsworth says: “Handel does joy like no one else; he makes you glad to be alive. If Bach does joy with dancing, Handel does it with fireworks.” Following the brilliant performance of Bach’s Mass in B minor last year, this performance by the Festival Baroque Sinfonia on authentic instruments in partnership with the superb Festival Voices promises to be another revelation. ★ the fun minimalism of Michael Torke’s Adjustable Wrench (his music has been described by Gramophone magazine as “some of the most optimistic, joyful and thoroughly uplifting music to appear in recent years”). In between there are songs including Britten’s sensitive and entertaining settings of Appalachian folk melodies. Join the Festival’s mini-Handel celebration including coronation anthems Zadok the Priest and The King Shall Rejoice, the Hallelujah Chorus and much more. That’s lots of choral fun under the expert guidance of Festival Artistic Director Marcus Farnsworth. Pre-booking essential: no performer tickets on the door. Hannah Cresswell and Aimee Walton (a former Minster School student) are young professional musicians fast making a reputation for themselves through their duet recitals around the Midlands. They will explore the interesting repertoire written for these two instruments. This attractive programme covers the waterfront of the organ repertoire – from Bach to Vierne by way of Schumann, Stanford and Bairstow. The perfect entertainment for a Bank Holiday afternoon.